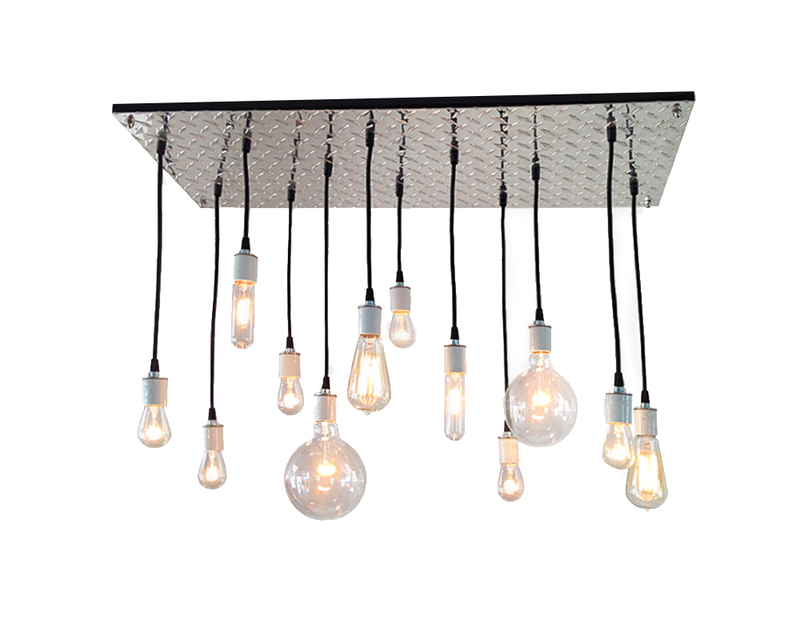 Add a focal point to your space with this utilitarian style chandelier. It features a reflective aluminum diamond plate face with 12 chunky white porcelain sockets. 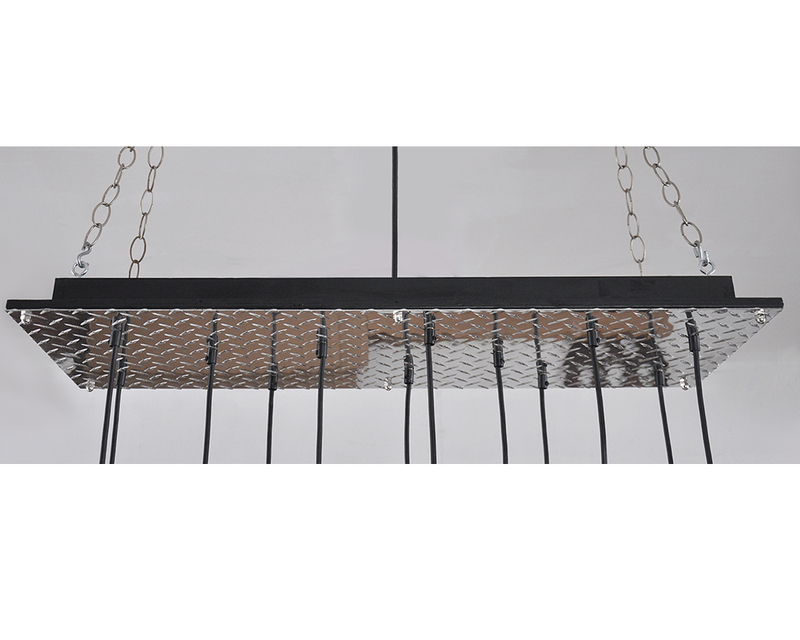 The heavy-duty pendant cord is round black rubber. 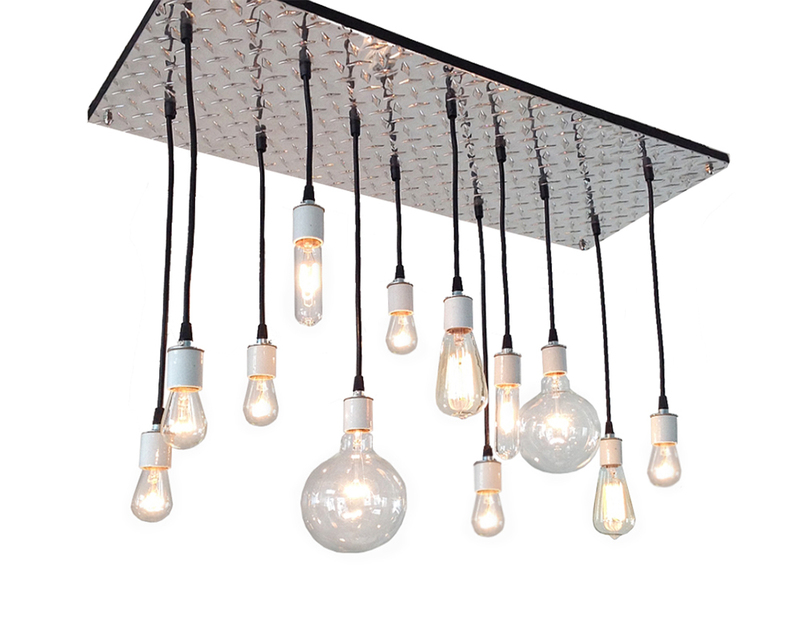 All of the Edison style bulbs are dimmable and included as shown.